The recent advertisement targeting "Whopper Virgins" is Burger King's new ad campaign that involves a unique twist on the tried and true marketing techniques of taste testing, however the campaign is already proving to be quite controversial. 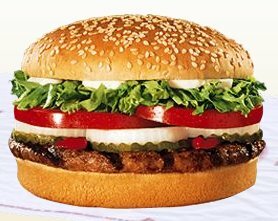 If some of you don't know, Burger King asked farmers in the Transylvania region of Romania, and the Hmong tribe of Thailand to sample its Whopper alongside McDonalds Big Mac and to decide which tastes best. Burger King's objective was to "...see how the Whopper would perform in a world that didn't have ad or marketing awareness or any sentimental attachments" to either brand, says Russ Klein, president of global marketing, strategy and innovation at Burger King Holidays. Anyways, I found it funny that Burger King was trying to do this taste test when in reality it does not matter if someone in Thailand or Transylvania likes the Whopper over the Big Mac. Reason being is because their major market is in the US, why does it matter what these people think about it? The campaign would have been more effective if they used this same approach in the US, but blindfolded the individuals and then asked them to decide which one they preferred. All in all, I think the campaign was a flop!